While London is full of history, museums, and art, my perfect day in London was spent being a girly-girl in proper English fashion. The weather was sunny and warm and the cider was cold and sweet! I love a good farmer’s market, and this one offered delicious variety. Fruits, vegetables, wines, oils, breads, cheeses; everything you need to make a fresh meal! 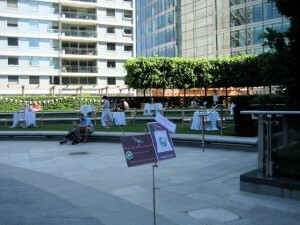 They also have vendors selling prepared foods, like curries, salads, burgers, and more. 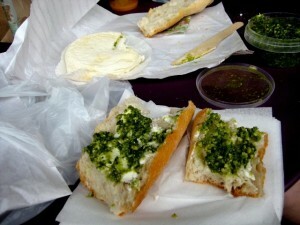 My friend and I opted to concoct our own creation using a fresh baguette, pesto, and goat cheese. Then satisfied our sweet tooth with Burnt Sugar. Just thinking about it makes my mouth water! Shopping time! On Saturdays, you can find antiques, jewellery, second-hand clothes and random finds. My favorite souvenirs have been found at markets like this. Located in the Notting Hill neighborhood, there are lots of funky boutiques and restaurants in the area too. For cider, try The Sun in Splendor Pub. Their cold pint of cider hit the spot! Hosted by the popular Bea’s of Bloomsbury bakery, this afternoon tea is an original experience from the usual ritzy afternoon tea at hotels. “Pop Up Afternoon Tea” is outdoors on the lawn of Cardinal Place in Victoria, beautifully tucked amid the area’s soaring skyscrapers. 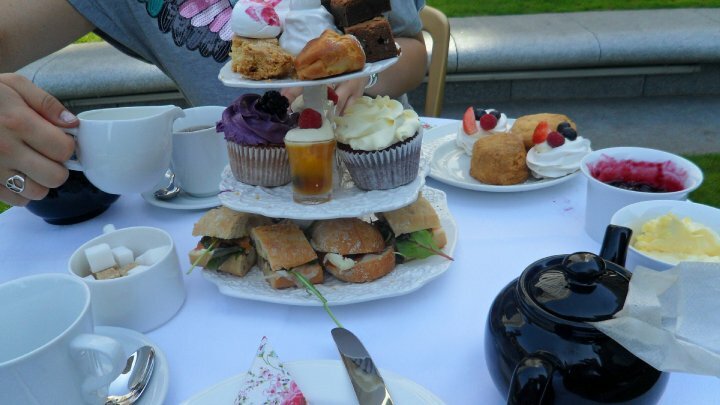 Partake in traditional afternoon tea and treats, such as mini meringues, crumbly shortbread, rustic smoked salmon sandwiches, and cupcakes, all accompanied by a glass of champagne and Pimms. The Earl Grey tea was the best I’ve ever had, or try the Jasmine. Dress up for the occasion (i.e. garden party dress) to fully embrace the experience. 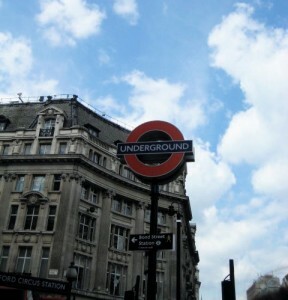 This was one of my favorite memories from London! Dubbed “the heart of London shopping,” Oxford St won’t disappoint. This street has it all and spands 1.5 miles with 548 shops. Check out Topshop, who claims to be the largest fashion store in the world, or pick up some football souvenirs for your sports-loving friend at the Nike or Adidas stores. You will definitely be shopped out and ready for a good meal! Dinner: You can’t go to England without having fish and chips! Check out The Golden Hind at 73 Marylebone Lane for delicious fish and chips with the classic mushy peas. You can BYOB, too! 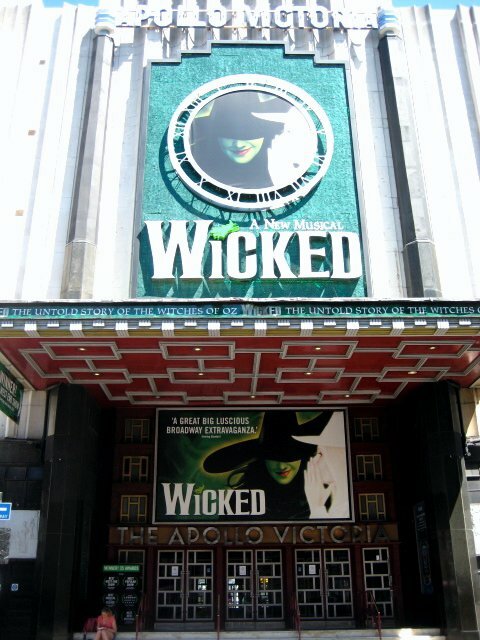 Head over to Leicester Square earlier in the day to buy half-price tickets to a performance that evening. This method has little effect on quality of seats – we ended up with GREAT seats every time. 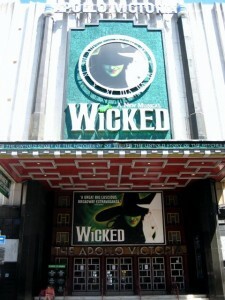 Personally, I would recommend the musical Wicked. My theater-buff travel buddy insists everyone must see it at least once. Do you have a perfect day in a city? Submit your entry to AlexCanedo and your “Tango Diva Day” could be featured here!